See these extremely rare find at the DeGem booth. 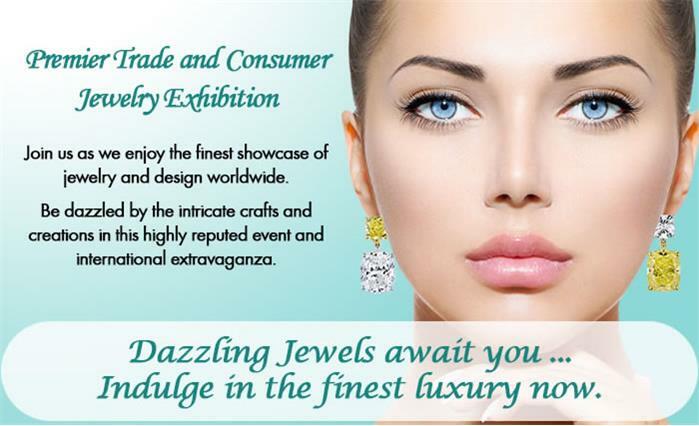 The Singapore International Jewelry Expo (SIJE) is back again this year. And, larger than ever. 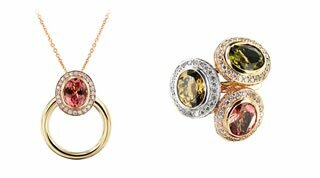 This year SIJE 2016 celebrates the love of jewelry, stunning gemstones that make a statement – ‘beauty inside out’ and the beautiful women of substance who adorn these stunning creations. Over four days, from July 21 to 24, 2016, some 15,000 visitors are expected to visit more than 200 jewelers from 25 countries around the world. With more than US$150million in exhibits spread over 8,000 square metres, there will be something to intrigue every visitor. SIJE 2016 gathers the world’s leading jewelers from the jewelry capitals of the world. 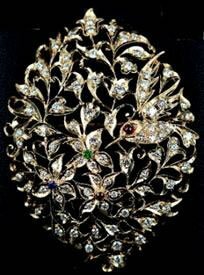 The country pavilions and contingents are made up of 35 jewelers from Italy, 40 from Hong Kong, 30 from India, 31 from Singapore, 15 from Cambodia, 9 from Indonesia, 16 from Japan, 8 from Thailand, 6 from Myanmar and newcomer from Peru among many more jewelers from 25 countries in all. This year, the organizer has worked tirelessly for twelve months to commission some of the most exquisite and affordable jewelry from jewelers from all over the globe, for buyers here in Singapore. These start from S$250 and are crafted by some of the most talented jewelers from Italy, Hong Kong, India, Malaysia, Singapore and more. The Million Dollar Row presented by IVY Masterpiece. Visitors to the show will also see an extremely rare collection of gemstones. 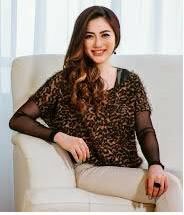 A 27-carat flawless round brilliant GIA certified diamond priced at SGD3.5million (diamond only) An 11-carat Paraiba Tourmaline with Diamond Ring, with Gubelin Certification Learn about investments in gemstones from Ms Ivy Choa of IVY Masterpiece. One of the show highlights are exceptionally rare semi polished Sapphires of more than 100 carats each. See these extremely rare finds at the Luxe jeweler DeGem. To appreciate the importance and value of these amazing sapphires, the Blue Belle of Asia earned the title of the most expensive blue sapphire in the world, after selling for $17,305,996 at Christie’s Geneva in November 2014. This 392.52-carat untreated Ceylon sapphire features a cushion-cut stone that draws your gaze into the depths of its captivating blue prism. The stone set a world record for the highest price paid at auction for a sapphire. 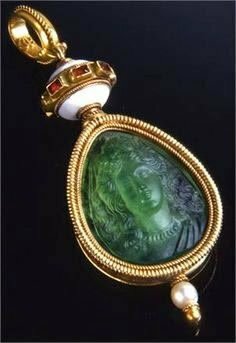 Another breath-taking show highlights is an an Emerald pendant, carved and shaped by Fortunato Pio Castellani in the 19th century, was given by Napoleon III to his lover, Countess of Castiglione. This historical piece is currently in the private collection of Roberto Sciaguato. More than 500 pieces of Specially Commissioned Limited Edition Jewelry Some of the most dazzling and affordable limited edition jewelry, ranging from S$250, and sourced from all over the world will be on sale at the show. Pearls and More Pearls The perfect pearl by HODEL celebrates the finest in pearl jewelry. 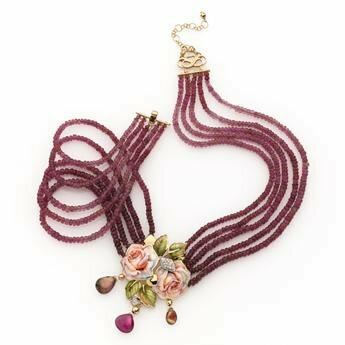 Their unwavering commitment to distinction, HODEL is recognised for the extraordinary lustre and colour of their pearls and their wide range of sizes too. 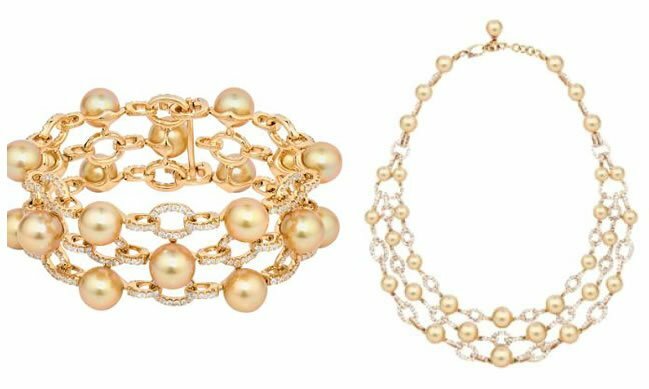 A rare set of Golden pearl necklace and bracelet from HODEL will be on sale at the IVY Masterpiece booth. Beautiful intense natural South Sea golden pearls SGD150,000. Innovative Designs a. Midnight Gaze, created by Caratell is made from titanium and 18k white gold. Traditional Jewelry a. Foundation Jewellers – Fine Heritage Design collection is recognized for their fine jewelry with rich heritage background, with both traditional and modern Peranakan elements add into the jewelry pieces, and given clever versatile twists whereby the jewelry can be worn in multiple ways. Handmade Product filigree work, mina work, Kolkata made. Learn from experts at the show how to collect your personal treasure chest – one exquisite gemstone at a time. Some of these rare gems can be found at Caratell including an 11-carat Bixbite (red emerald), a 17.33 carat Imperial Topaz (non-heated), a 4.39 carat Horse conch pearl and a 2.75 carat Lion paw scallop pearl. 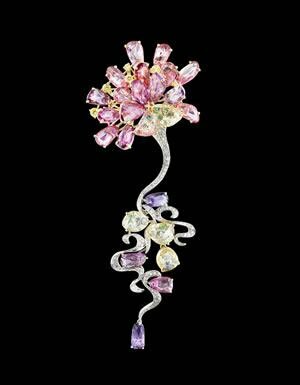 The appeal of rare, natural, colored gemstones – In 2015, a Burmese ruby sold for $30 million, or just over $1 million per carat – a benchmark usually achieved by the rarest and most exceptional coloured diamonds. That ruby, dubbed the Sunrise Ruby, weighed an astonishing 25.59 carats – an extraordinarily rare size for a ruby of its calibre. The singular stone set new auction records across the board when it sold at Sotheby’s Geneva in May, including a record price for a ruby, record price per carat for a ruby, and record price for a Cartier jewel – even ousting the Hutton-Mdivani Jadeite Bead Necklace which previously held the record price for a Cartier jewel. 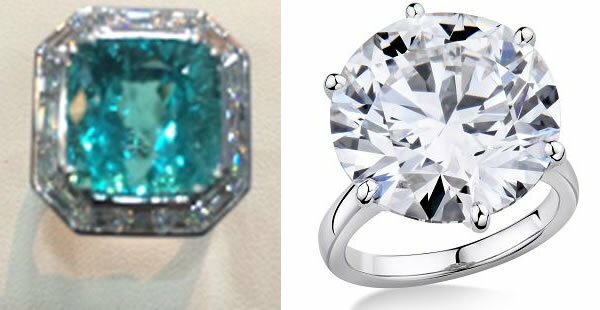 The interest in rare colored gemstones in Asia is an excellent example of how buyers are looking to invest in colored gemstones. 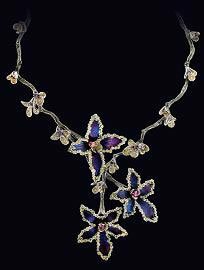 While this may be about investing, they are also buying the pieces that appeal to them the most and for their intrinsic beauty. Because rare, natural and untreated colored gemstones are scarce, they can be more precious than white diamonds. Good quality natural gemstones are beautiful and they are solid investment pieces. Some of these gemstones are very hard to find in nature. Once mined, their scarcity increases as do their value. There is a shortage of supply of the rarest and best quality gems in the market. Gems like rubies, sapphires and emeralds are taking centrestage again, while newer gems like spinels, tsavorites, tanzanites and other variety of tourmalines are fast gaining popularity. SIJE in partnership with women communities Over the years, the show has enjoyed a large following of women who visit the show annually to enjoy the pieces on display and to learn about jewelry from experts in the industry. This year, the show organisers have taken a step further to include communities and organisations who help women make a better life for themselves. One such organization is Soul Rich Woman. Soul Rich Woman Mastermind community is a collaboration of like-minded, sassy, and forward-thinking women that showcase the authenticity of being healthy, wealthy and happiness. Women who are united in the goal of raising the bar and revealing the brilliance of working less, living more, loving a rich life and pursues their dreams. A series of talks will be presented by Soul Rich Woman and spearheaded by Ms Genecia Alluora, Soul Rich Woman’s Mentor. Genecia is also SIJE’s ambassador for 2016. The Luxury Network Showcase Experience the luxury touch presented by The Luxury Network which includes a “VIP Luxury Showcase” put together by The Luxury Network Singapore. Luxury brands members such as One 15 Luxury Yachting, Atos Wellness, Caratell, De Dietrich, Etihad Airways, Scotts 27, Goshen Art Gallery, Gourmet Online Shop, Marciano, MyScent Design, Penfolds, Peroni, Quotient Travel Planner and the Singapore Yacht Show will be showcasing their premier collection. Against a backdrop of the beautiful Singapore skyline dramatically set against the water and the sky, the 2016 event celebrates a treasure trove of some of the rarest gemstones in the world. The show focuses on the latest trends on jewelry crafted in the beauty of gold, white, yellow, rose, purple and black, and encrusted in the widest range of precious stones of all hues. The vibrancy and glittery of the show pieces will be complemented by an exciting line-up of event highlights. This glittering gargantuan spectacle expects a 15,000-strong throng of visitors. Thursday, July 21, 2016 at 3.00pm sharp Marina Bay Sands Singapore Convention Centre Halls A & B Media Registration begins at 2.30pm. You will be among the first to see the show highlights. Special arrangements for car parking have been made for members of the media attending the official opening. Please valet park your cars at the Casino’s valet entrance. For complimentary parking, please show the specially arranged voucher when you leave. The show is organised by Conference and Exhibitions Management Services (CEMS). Note: For media accreditation and registration please contact Ong Yu Fan, Andrew Ng or Lou Zhihan at +65 64793733, +65 64758368 or +65 64743133 for your accreditation pass. For security reasons, all visitors to the show must register themselves at the entrance of the halls. Members of the media will be pre-registered by official show publicist.